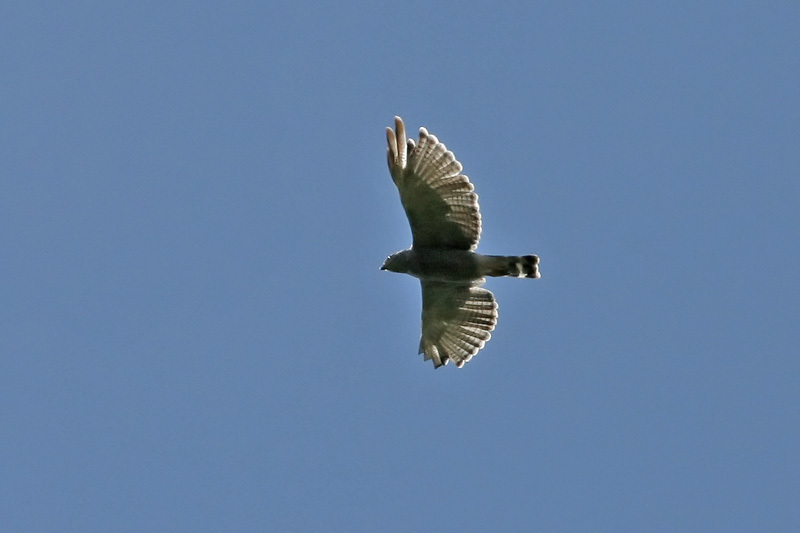 Gray Hawks (Asturina nitida) are some of the rarest hawks of the United States. Their native range barely touches southeastern Arizona and the Big Bend and Brownsville areas of Texas. In SE Arizona, I've had the pleasure of spotting pairs of Gray Hawks at San Pedro (early September) and also near the Patagonia-Sonoita Preserve. The hawks call is quite distinctive, a mournful, or at least plaintive, repeated whistle. 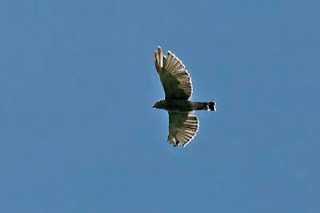 I got to hear it frequently as they circled overhead at San Pedro. 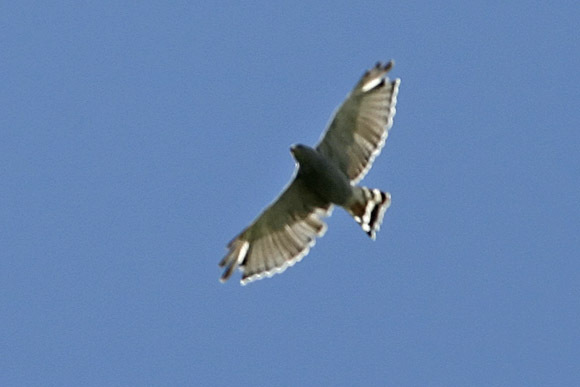 Unfortunately, the photos weren't great as they only took flight for a few minutes, and I had to find clearings among the trees. But they do show the banded tail, which combined with the call and some observation with binoculars, confirmed the identification. The Gray Hawk is a unique species that used to be considered a Buteo, but also has some Accipter characteristics. It is now in a genus of its own. It primarily eats lizards, but various references indicate it will occasionally capture birds and frogs as well.